Dr. Roy A. Rosenzweig seated at his desk and holding a copy of the box to the interactive history cd, Who Built America? 5" x 7" photograph print; black and white. Citation: George Mason University Relations, “Dr. 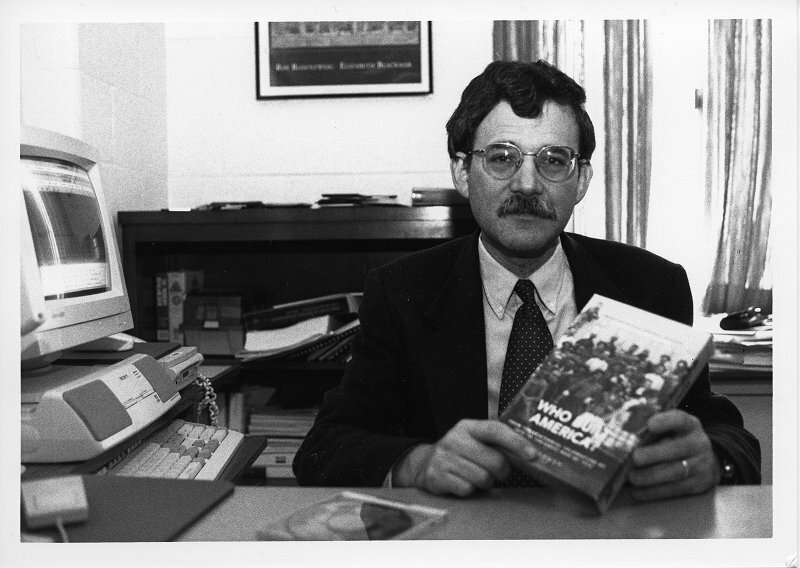 Roy A. Rosenzweig, October 11, 1995,” A History of George Mason University, accessed April 24, 2019, http://ahistoryofmason.gmu.edu/items/show/333.